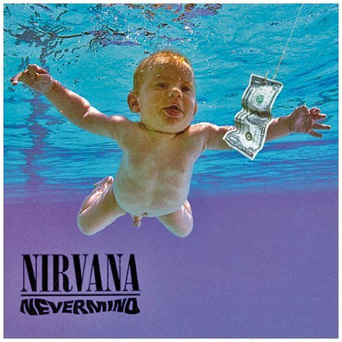 Nirvana: Live at the Paramount– Sept. 24 is the 20th anniversary of Nirvana‘s seminal Nevermind album, and VH1 Classic marks the occasion tonight with this 1991 Seattle concert, which has never been aired on TV before. All My Children – Say farewell to Erica Kane (daytime diva Susan Lucci) and her fellow Pine Valleyans, who bid adieu, at least to TV land, after 41 years. The show is scheduled to live on as a Web series, but it’s still incredibly sad that, beginning next week, there will be just five daytime soaps left on the air. And when One Life to Live ends in January, just four. Sigh. A Gifted Man – Patrick Wilson is top NYC neurosurgeon Michael Holt, who becomes a more compassionate dude when his kind ex-wife begins visiting him … as a ghost. The best part of the cast is newbie Emmy winner Margo Martindale (Justified), who has little to do in the pilot. Hopefully show producers will remedy that right away. Kitchen Nightmares – Chef Gordo visits a restaurant in Plainfield, New Jersey, and, just guessing, is mean to its owners. And then tries to help them. Nikita – Nikita and Michael plan to use the black box to take down Division and Oversight, but new boss Amanda has other ideas. CSI: NY – Mac and his squad flash back to the events of 9/11 on the day’s 10th anniversary. Fringe – And we pick up with the Fringe team one week after Peter disappeared, with the two worlds maintaining an alliance. Reluctantly. Supernatural – Castiel warns Sam and Dean not to get in the way of him and his new God role, but Dean tries to convince Death to tangle with Castiel anyway. Blue Bloods – Jamie gets his first undercover assignment, the new mayor asks Frank to spin a story to cover up the truth about a murder and Carrie Underwood and Tony Bennett are guest performers. – Will Joel McHale poke fun at himself, as an Emmytone, on tonight’s ep of The Soup (10PM, E!)? – Last Call with Carson Daly (1:35AM, NBC): Melanie Pullen.